Choosing the right wedding DJ can make all the difference to your wedding reception. Having the right music is essential to setting the mood and making sure people have fun. But it is also important that your wedding DJ is excited to create a playlist specifically for your event, not just running on auto pilot – and nobody wants terrible jokes in between songs! Make sure you meet the person who will actually be performing at your wedding to see if you like their vibe and personality. Start looking for your wedding DJ well in advance as the good ones may get booked up early. 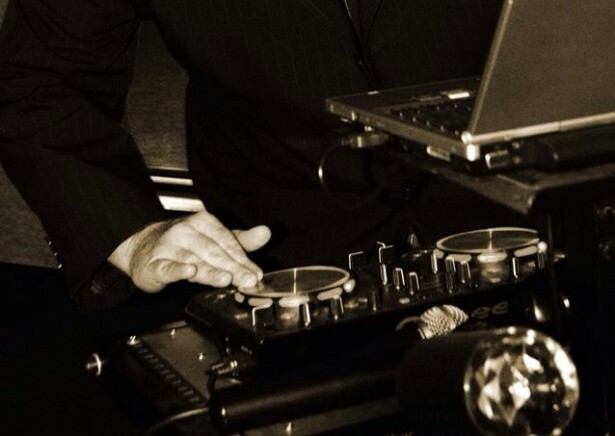 Aaron Malloy from Time Of Your Life Entertainment shares his top 5 questions that you should ask when looking for a wedding DJ to make sure you have the right person behind the turntable. 1. How many weddings do you perform per year? Obviously you want a number high enough to impress you. 2. What is your favourite wedding venue and why? This response will do two things. It will help to qualify the answer to number 1. It will also show the DJ’s priorities, for example: Venue A has great food – thumbs down. Venue B staff are focused on making the night special – thumbs up! The answer should reflect the DJ’s attitude towards the success of the evening, and the happiness of yourselves and your guests. 3. If you suddenly became unavailable, what is your back-up plan? Of course, we would all hope this would never happen, but on the off chance it did, you want to be assured that the wedding DJ has an action plan. 4. What can you bring to the table that makes you confident that you can be our DJ? You are listening for an articulate and intelligent response here. The DJ’s answer should make you feel satisfied that they are capable of doing the job. 5. When you hear somebody yell “STOP!” do you think it is in the name of love, its Hammer Time, or if you should collaborate and listen? This should make anyone with some musical knowledge and a sense of humour at least giggle, snort or laugh. Time of Your Life Entertainment is a professional MC/DJ company dedicated to creating exceptional weddings events. We offer a boutique service with experience extending back more than 20 years. We will work with you every step of the way to create a truly unique celebration that you will remember as the Time of Your Life.